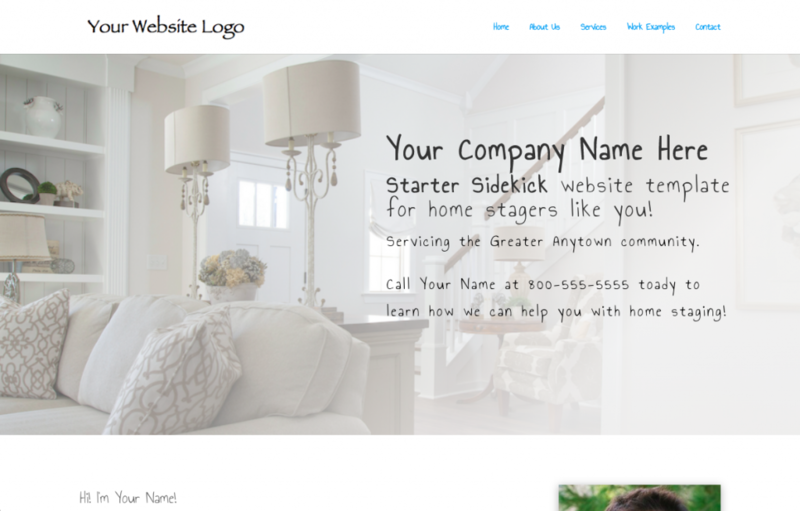 Modern and professional, single page website template for the new home stager who wants to promote their work. This proven template is easy to use for home stagers of any technical skill level. You just add your content, and we do the rest. Includes one page with the following sections: About Us, Services, Work Examples, Contact Us. Professional, modern, and beautiful website. Website design moves fast, and your website needs to keep up. Easily edit your website. Minimal technical skills needed. Your website will give inspire your visitors to contact you and give them a means to contact you. Responsive so that it will look great on any device – desktop, laptop, smartphone, and tablet. Maximized for Google and other search engines. We do the backend SEO processes necessary to ensure best opportunity to get found on search engines. You will have easy to understand documentation on how to navigate, use, and update your website. Hosting to provide blazing fast speed and reliability for your website. A lot goes on behind the scenes for every website. Software updates and other behind the scenes maintenance is taken care of by us. If you have questions, we are here for you! We back up your website monthly! If anything ever happens to your website, we will be able to restore it. Although no website can be 100% secure, we take security serious, and continue to monitor your website and update with the latest security patches. Your Hosting, Technical Maintenance, and Support is included for free for the first month, when you sign up for HMS prior to your website launch.